the first to arrive in Jacmel. Sadly, another magnitude-6.1 aftershock has struck, after a devastating quake shook Haiti last week. 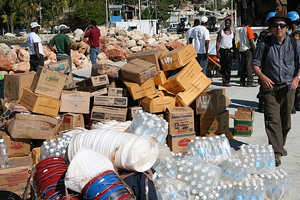 Humanist charities have joined the many other organizations, churches, governments, and faith-based non-profit organizations scrambling to bring direly needed relief to suffering Haitians. A recent AP article reports the European Union Commission estimates the original magnitude-7.0 quake killed about 200,000 people, injured another 250,000, and left 1.5 million homeless. Heartbreaking stories of people literally dying in the streets have emerged from the region over the past week and while aid is coming fast in terms of logistics, the definition of "fast" for large-scale organizations and governments can be all too different from the definition of "fast" for a starving person in need of medical treatment. Humanist Charities, a division of the American Humanist Association (AHA), quickly established a Haiti Earthquake Relief Fund and began working with Sebastian Velez. Velez is an evolutionary biologist at Harvard University who has been working to protect the rights and expand access to medical care and education for Haitian immigrants, with whom the AHA has worked before. "I want to stress the importance of the AHA's membership response. Our shipment justified the first trip from the Dominican Navy. Now many more shipments coming from Santo Domingo, since logistics are solved. Our tools and medical supplies were the first to arrive (as per UN bluecaps) and put to use immediately. We were the only ones from that dock that went into the city and got first-hand information for those here at the DR/Haiti border. These International organizations are using our list of medicines starting at the top of the list we provided." 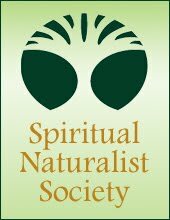 While Humanist organizations may not be of the size or have the history of some religious organizations, it seems Humanists are doing their part to use what funds they can in ways that have the biggest impact possible. If you would like to help make a difference for people in need, please consider giving to the Haiti Earthquake Relief Fund now. Click here to help others in need.